Last week students began writing in their journals. Our current focus is on writing a narrative. We have been introducing sight words for the students to use in their writings. Our focus letter was “p” and students formally practiced writing the lowercase “p.” Students also completed their fall masterpiece, where they made a fall scene and added a variety of pictures of objects you see during the fall season. In math, we started our next chapter on counting and the numbers 0-10. Students learned how different combinations of numbers make a variety of numbers (i.e. 2 and 3 is 5, 4 and 1 is 5). They also learned the concept of one more. We will be continuing this chapter next week. In Hebrew we started our next unit of study on family and the home. Students learned the Hebrew words for chair, table, door and windows. Soon we will discuss the Hebrew words for family members and they will be able to tell you, in Hebrew, who is in the house. Klei Kodesh Reminder: Parents of Klei Kodesh children should meet in Plotkin Chapel at 9:00 a.m. These students are to wear appropriate formal clothing, which they may remain dressed in all day. Please bring a plain white shirt and green leaves to school by Monday, November 14th. Please bring in family pictures and your child’s Hebrew name. Room Parents will soon be sending an email about volunteering and/or contributing food for our Thanksgiving Feast on November 22nd. Please note: Parents may volunteer at one special event for the year. Parents are chosen on a “first-come, first-served” basis via email. There are many special events during the year and we need a number of parents at each event – we hope that everyone who wants to volunteer will have an opportunity. This week in 1st grade we began learning about “bossy e.” We learned that silent “e” makes vowels say their name. Our phonics focus this week is long “a”/”bossy e” words. In writing, students are focusing on how to write complete sentences, utilizing proper capitalization and end marks. In math, we are finishing up our chapter on addition facts, with emphasis on the words more than(i.e. 6 more than 2 is ???). 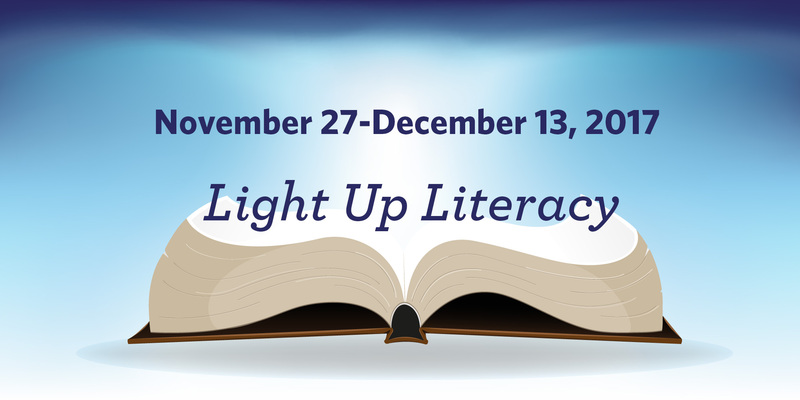 We have begun rehearsing for our Light Up Literacy performance, which is on December 16th at 8:15 a.m. in the Sanctuary. This week your child brought home their part – please practice at home! In honor of Veteran’s Day, the 1st grade is mindful and thankful for our veterans and heroes who keep us safe! Klei Kodesh Reminder: Sign-ups will be done through schoolbookings.net. Use code ak2ymand please select a day for your child that you will be able to attend! Students have been digging deeply into their understanding of the 2nd grade big idea of “Power leads to change,” which is particularly relevant in this election year. Using the concentric circle strategy, they talked about different kinds of leaders and how their power can influence change. In Judaic Studies, students made the connection with leaders in their Heroes curriculum. The first hero under discussion was Jonah. Was he a hero or wasn’t he? Ask your child. In Hebrew, the 2nd graders have been moving forward in their study of new letters and vowels. 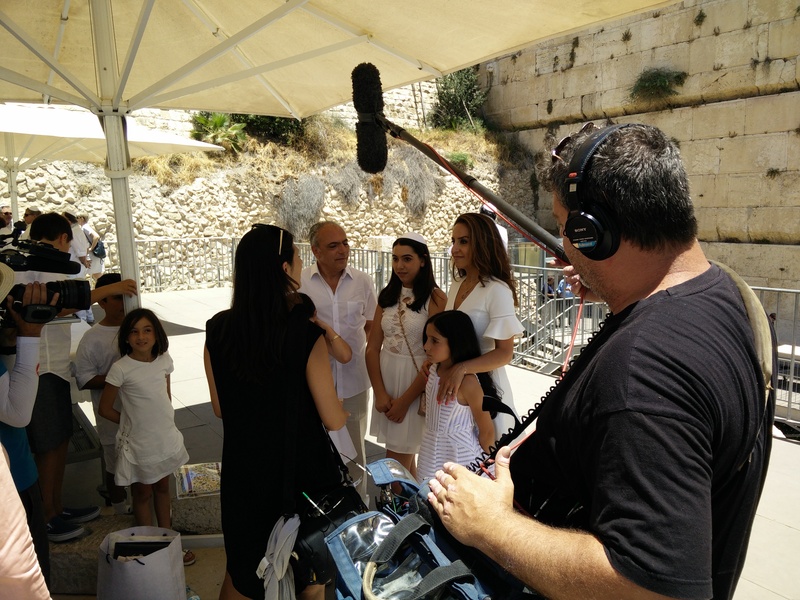 Soon they will be starting with their new Keshet book. They are so excited to be able to read stories from this book and enjoy them. Please review the email sent last week for more information and details. Whole Child Discussion | 2nd and 3rd Grade | November 16th | 8:00 a.m. This week in 3rd grade we geared up for the election by conducting independent book research about presidents using the depth and complexity icons. The students had access to a variety of books about specific presidents as well as the office of the president itself. Some of the responsibilities given to the students included listing four details about two presidents they were not familiar with, five words that are specific when discussing presidents (language of the discipline), and writing about what new laws they would create if they were president. Make sure you ask your child what they learned! In 3rd grade Judaic Studies, students have been exploring parts of the Bible and all about the Torah. We have engaged in discussions of Bible vs. Science and discussed our most precious possessions. The Torah is the most precious possession of the Jewish people…what is your most precious possession? In Hebrew, our 3rd graders are busy practicing their reading skills and conversation skills. Some of the groups are reading the story “Who Goes to School” and are practicing the verbs go, say,and sit. In other groups, students are reading the story “Happy Birthday” and practicing the verbs give, stand, and eat. In all groups students are acting out the stories, playing games using their vocabulary, and having fun writing songs using the new vocabulary. Please make sure your child brings their homework folder and agenda to school every day. Your child should always have a chapter book at school. Last week we started our Social Studies unit on Native Americans. We learned about legends and the impact that these legends had on the migration of Native Americans to California. In math, we are working on fractions. We just finished our benchmark tests for chapters 1-4. In Hebrew, 4th grade students completed the third story in the first book of Chaverim B’Ivrit (Friends in Hebrew). This semester’s theme is birthdays, therefore the students verbalized the details about their own birthdays and wrote a personal invitation applying new vocabulary into their written work. The students compared the Hebrew and Gregorian calendars and found out in what Hebrew month their birthday will be celebrated. They engaged in learning activities to enhance verbal, written and reading skills. In Judaic Studies, 4th grade students are reviewing the stories of Moses while focusing on his leadership. They are exploring the Big Ideas and the impact of Moses’s leadership on the Israelites. The Weekly Torah portion (parasha) is highlighted during Judaic Studies. It is a great opportunity for your child to share a few words of Torah by sharing the Big Ideas found in the weekly parasha. 4th Grade Morning Social is being rescheduled. Stay tuned for the new date! Fifth graders and their parents were actively involved in this year’s Presidential election by getting a grasp on the working structure of the Electoral College. They tracked the outcome by filling in the Democratic and Republican votes on a United States map. However this election turned out, the students and country were actively involved. Thank you, Parents, for participating! In Social Studies, students are studying chapters four and five, which both focus on the Age of Exploration. In this investigation, students are looking through the lens of an archaeologist and determining the relevance on eight objects and/or artifacts. The chapter 4 test will be on Friday, November 18th. Included in this test is an expository essay on what the students feel is the most important object or artifact and why. Math is forging ahead into the world of adding and subtracting decimals. Remember to line up those decimal points! For those students interested in participating in the spring musical, Lion King, auditions are on November 10th, 14th, 17th and 21st, from 3:30 p.m. – 5:30 p.m. Hakuna Matata!!! In Hebrew, 5th grade students are becoming more skillful and confident readers with good pronunciation. Unit 3 of “Chaverim B’Ivrit,” our Hebrew textbook, is taking us on a class trip. While acquiring new vocabulary and incorporating the WLP, depth and complexity prompts such as multiple perspectives and details, the students are learning about a class trip that Tamar is taking with her friends. The final goal is for all the students to be able to converse and write about a trip they took with their family or with Wise School. In Judaic Studies, 5th grade students will be introduced to our D’var Torah program. Each student will learn how to organize and prepare a D’var Torah about the weekly Torah portion. We will be honoring our first Klei Kodesh this week at our Thursday Morning Shacharit service: Eli Pournazarian, Chloe Javidad, and Alejandro Rivera. Lion King Auditions | November 10th, 14th, 17th and 21st | 3:30 p.m. – 5:30 p.m.
Monday, November 14th | 8:00 a.m. – 9:30 a.m. Please join our clergy and educators as we begin your series of four pre b’nai mitzvah sessions that will take place over the 5th and 6th grade years. Together with other parents and your child’s classmates, we will explore the deeper meanings of the b’nai mitzvah experience and discover what your family can learn from the Torah’s insights as the time comes closer. We ask at least one parent attend with your 5th grader. RSVP to [email protected]. It was lovely meeting with you at parent/teacher conferences last week. It was an excellent opportunity for us to let you know how your child is doing, as well as keep you informed as to what is being covered in each of our classrooms. In math, all the 6th graders are completing Balancing Act, the first level of their middle school program that taught them the skills to create and solve algebraic expressions and equations. The students are ready to move on to Notable Numbers, the second level, which explores decimals, percentages, and fractions. In 6th grade Hebrew, we have been improving our fluency in phonetic reading and are working on accuracy, which will empower the students when they begin practicing for their Bat/Bar Mitzvah next year. In Unit 5 of our “Chaverim B’Ivrit” Hebrew text, we are discussing the Big Idea Of Midor L’dor. In relation to the Wise Learning Process we touch upon “Change Over Time,” and are studying about artifacts that are passed on to us from our great-grandparents and from our grandparents, down through the generations. Some students researched the origin of their Hebrew name. Relating names and stories over time to our ancestors will strengthen their Jewish identity and their sense of responsibility. After a successful October launch to this year’s relationship with our Tel Aviv Twinning Partner, the Elharizi School, our students are now redoubling their efforts in their studies to better understand our shared history. Students are currently learning about the history of the Judeans near the beginning of the common era, from the origins of Hanukkah to the development of our rabbinic tradition, including the Mishnah and the Talmud. Feel free to ask your children why Hanukkah is really eight days long, or how we came to celebrate Lag B’Omer! Science Fair Reminder: Please go to the Science Fair Weebly page to see information about the Science Fair and locate the directions, due dates and rubrics for each specific class. Please carefully review your student’s individual/group science fair documents. 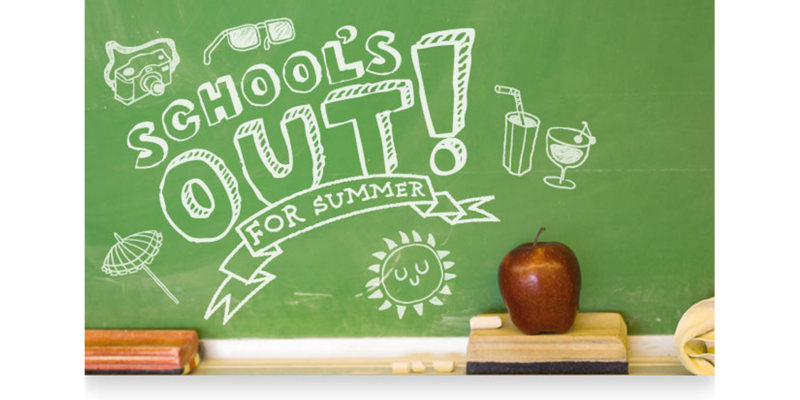 As a reminder, students should be done with their research and working on their objective and procedure at this time. If you have any questions, please feel free to contact Miss Bolkin or Mrs. Coatney. Tuesday, November 15th | 8:00 a.m. – 9:30 a.m. Please join our clergy and educators as we continue the pre b’nai mitzvah journey by spending a morning of learning together. We will explore the deeper meanings of the b’nai mitzvah experience and discover what your family can learn from the Torah’s insights as the time comes closer. We ask at least one parent attend with your 6th grader. RSVP to [email protected]. The yearbook choice needs to be a vertical headshot. You may also choose a second choice for the yearbook of a full body photo. I need to know the digital image(s) number, student name and room number. Please email Rachael Sterlin if you did not receive the Photo Link. Join us for a weekly practice of Mindfulness and Meditation at Wise School. This class is open to all levels. In this ongoing drop-in class, you will build and strengthen Mindfulness tools, deepen your Mindfulness practice both in class and between classes, and have the opportunity to discuss the application of Mindfulness in daily life as a parent and spouse. While parenting is all about giving, this class allows you to give yourself the gift of time for you, and ultimately, for your family. Ian Hoge: [email protected] or (310) 902-5954. Jen Waldburger: [email protected] or (310) 922-5392. Annual Giving – We are excited to announce that we have already raised over $215,000 for our Wise School Annual Giving Campaign. Thank you to the many families who have already donated. We want 100% participation. We are publishing our first honor roll on November 14th and hope to include everyone! To donate now please click here or contact Jessica Lebovits at [email protected] or 310.889.2276. Online registration is now closed. To register, please come to the school office. Your child’s guests will soon be receiving their information packet in the mail. Mondays – Wednesdays | 7:45 a.m to 3:45 p.m.
Come visit the Library and check out some books about the important upcoming election! Session #2 started this week. Register HERE. Get ready to shop ’til you drop at the shopping event of the season – our Annual Wise Holiday Boutique next Thursday, November 17th! Come for the day and get ready to shop some of the best vendors in jewelry, clothing, home goods, accessories, kids’ items, and so much more! Plus, with all that shopping, you’re sure to work up an appetite! We will have mimosas and breakfast in the morning, delicious lunch options, Dipping Dots and boba in the afternoon, a gourmet coffee truck all day long, and more! We look forward to seeing you there! Party Book Events – Our Wise Party Book has some great parties in store in the coming weeks. Register now for these community-building events – offering something for everyone! Check themout and register today at wiseschool.onlinepartybook.com. Let’s come together to give whatever we can for our Thanksgiving SOVA Food Drive. Bags were sent home last week. Students are encouraged to fill them up with non-perishable Thanksgiving donations and turn them in no later than Monday, November 14th. SOVA Bins will be out at morning carpool until then. Space is limited! Your complete registration form and payment must be turned in to the CYE office to reserve your spot by Wednesday, November 16th. You can also register online HERE. Winter session will have all of your favorite activities like basketball, chess, and martial arts, as well as new ones like computer programming, rhythm and percussion, hip hop and marine biology! Stay tuned for registration information! Registration opens November 3rd. Tickets and sponsorships are available now for A Musical Celebration Honoring Donna and Cantor Nathan Lam! Join the Wise community on November 13th at the Orpheum Theatre for an incredible night of music. Learn more at WiseLA.org/MusicalCelebration.